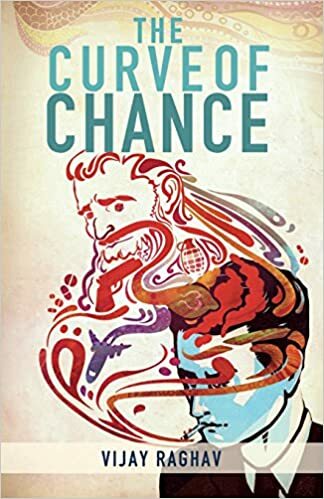 Here’s a book of four intriguing short stories entwined with threads of chance and probability. Set in Mumbai, these tales are a heady mix of facts and fantasies. Filled with abstract concepts and unrivalled in content, each short story deals with timely coincidences and untimely encounters. A herpetologist who explores the therapeutic effects of snake venom is drawn into a roller coaster ride when his friend accidentally walks into the aftermath of a drug deal gone askew. A local drug lord and his aide hunt for a cocaine deal worth many crores while their real intention is to cause mayhem in New York by detonating dirty bombs. An honest police officer heading the Anti-Narcotics Cell refuses to swallow the karma pill as he fights and suffers from a rare insidious disease which affects his voluntary muscle movements. And, in the exclusive first story, a maverick scientist, inspired by the idea of projecting thoughts as images, creates an improved version of Tesla’s theoretical thought camera. Later, he curses himself for being in the wrong place at the wrong time when a wealthy liquor baron urges him to recreate his remarkable invention and drags him to a world where immortality and wickedness are the unwritten norms. So do you want to snuggle into the boring world of determinism or do you want to plunge into the rough seas of randomness and chaos? Starting of with the cover it has the notion of the 4 stories and how all of them are related to one in the end. The cover is rather confusing at first but as the story paces it all makes sense. The title is apt to go along with the story. Narration is well and each story has it’s twists and plots which keeps the reader hooked to the story till the end. It has a mixture of scientific factor, thriller, police dealing with crime. It is a unique book creating rollercoaster for the readers. It is a one time read.